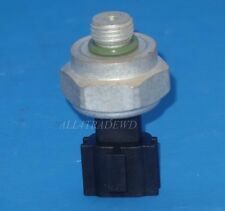 2002-2003 for Nissan Altima Base 6Cyl 3.5L. 2002-2003, 2006 for Nissan Altima S 6Cyl 3.5L. 2002-2006 for Nissan Altima SE 6Cyl 3.5L. 2005-2006 for Nissan Altima SE-R 6Cyl 3.5L. 2002-2003, 2005-2006 for Nissan Altima SL 6Cyl 3.5L. Genuine Nissan Power Steering Suction Hose. 2002-2004 Xterra 3.3L - produced after 04/2002. Genuine Nissan power steering suction hose. 2002-2004 Frontier 3.3L- produced after 04/2002. We have or can get any products currently available. Trending at $16.50eBay determines this price through a machine learned model of the product's sale prices within the last 90 days. NISSAN 370Z (2009 - 2011). NISSAN 350Z (2005 - 2009). NISSAN ARMADA (2005 - 2011). NISSAN ALTIMA (2002 - 2006). NISSAN FRONTIER (2006 - 2010). Power Steering Pressure Switch. NISSAN GT-R (2009 - 2010). Trending at $22.10eBay determines this price through a machine learned model of the product's sale prices within the last 90 days. NISSAN MURANO 2003-2007. COMPONENT FAILURE IN THIS POWER STEERING SYSTEM IS OFTEN DUE TO HOSE AND FLUID DETERIORATION WHICH RESULT IN CONTAMINATION OF THE ENTIRE SYSTEM. FAILURE TO DO SO MAY SHORTLINE LIFE OF THE NEW UNIT AND THE COMPONENTS NOT REPLACED. NISSAN QUEST 2004-2009. Prevent leaks and loss of power steering with our Power Steering Pressure Hose. Sold as a complete kit our Power Steering Pressure Hose transfers power steering fluid and is coated for corrosion resistance. Genuine Nissan Power Steering Suction Hose. 2004-2015 Armada. Genuine Nissan power steering suction hose. We have or can get any products currently available. 2004-2015 Titan. · Buy Genuine Nissan Original parts and ensure the quality and fit of the part to your vehicle. Genuine Nissan Power Steering Suction Hose. 2004-2006 Altima 3.5. 2004-2008 Maxima - produced from 01/2004 to 05/2008. 2006-2009 Quest - produced from 05/2006 to 06/2009. We will do our best to list it for you as a "Buy It Now" item. NISSAN MURANO 09-2015. COMPONENT FAILURE IN THIS POWER STEERING SYSTEM IS OFTEN DUE TO HOSE AND FLUID DETERIORATION WHICH RESULT IN CONTAMINATION OF THE ENTIRE SYSTEM. FAILURE TO DO SO MAY SHORTLINE LIFE OF THE NEW UNIT AND THE COMPONENTS NOT REPLACED. NISSAN ALTIMA 2.5L 4CYL. COMPONENT FAILURE IN THIS POWER STEERING SYSTEM IS OFTEN DUE TO HOSE AND FLUID DETERIORATION WHICH RESULT IN CONTAMINATION OF THE ENTIRE SYSTEM. FAILURE TO DO SO MAY SHORTLINE LIFE OF THE NEW UNIT AND THE COMPONENTS NOT REPLACED. Fits Nissan Maxima Altima Quest 2004-2009 & More. Other #s 232676, FENSP15647, 4098, 55-5577, 78-8447F, 36P0827, 5577, AA1215407, 21-5407, 36-215647, 3132. INFINITI EX35 2008-2012. INFINITI EX37 2013. INFINITI FX35 2009-2012. INFINITI FX37 2013. INFINITI FX50 2009-2013. INFINITI G25 2011-2012. INFINITI G35 2003-2008. Power Steering Pressure Switch. 2001-2004 Nissan Xterra 3.3L 2 or 4 Wheel Drive. 2001-2004 Nissan Frontier 3.3L 2 or 4 Wheel Drive. Check Vehicle for Compatibility. Genuine Nissan Parts & Accessories 100% Satisfaction! 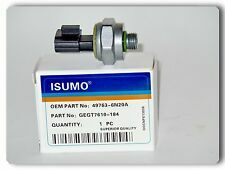 2002-2003, 2005-2006 for Nissan Altima SL 6Cyl 3.5L. 2004-2008 for Nissan for Maxima SL 6Cyl 3.5L. 2002-2003 for Nissan Altima Base 6Cyl 3.5L. 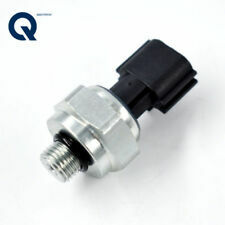 2002-2006 for Nissan Altima SE 6Cyl 3.5L. 2002-2003, 2006 for Nissan Altima S 6Cyl 3.5L. PART NUMBER: 491103TA0B, HPI U5101997 F, 3030303552. REMOVED FROM 2013 NISSAN ALTIMA. ALTIMA 13 2.5L (4 cylinder), Sdn. ALTIMA 13 3.5L (6 cylinder), Sdn. 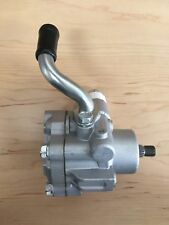 THIS STEERING PUMP IS IN GREAT USED CONDITION AND FUNCTIONS AS INTENDED. NISSAN QUEST 2004-2009. Power Steering Pressure Line Hose Assembly. ===================================================. =============================. ==========. End 2 Type Banjo. End 1 Type Male O-Ring. Works with all Nissan Altima models with 3.5 L engines. 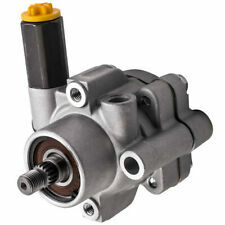 New durable power steering pump. 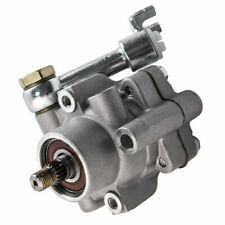 1 Power steering pump. Your vehicle is going to function like never before! All critical components are tested to ensure proper function. Fit 01-11 Nissan Murano Altima Maxima 350Z Infiniti 3.5L DOHC Oil Pump VQ35DE Replace OE Part #: 150107Y000. NEW ARRIVALS. - New Arrivals. - Ending Soon. - Add to Favourites. Quick Links. CARPARTSWIZ “the smart way to buy auto parts”. Accuracy (Get the right part). Here are the Top 5 Reasons. Excellent Quality & Excellent Warranty. 90-96 NISSAN 300ZX NON TURBO POWER STEERING PUMP RESERVOIR IN GOOD WORKING CONDITION PULLED OUT OF 1992 NISSAN 300ZX NON TURBO WITH 93K ON. If unsatisfied with the. XTERRA 2000-2002 (3.3 ENGINE ONLY). THIS IS THE RUBBER SUCTION HOSE FROM THE PUMP TO THE RESERVOIR. FRONTIER - 2000-2002 (3.3 ENGINE ONLY). NEW NISSAN POWER STEERING RESERVOIR HOSE. FITS THE FOLLOWING NISSAN MODELS.